Well, it’s taken a while to get round to this, but we’ve put a basic site together (finally!). Hoping to get album reviews, future gig info, band news and anything else we think might be worth a look on here in the months (and hopefully years!) to come, and as the site expands we’ll add more stuff as and when we can. 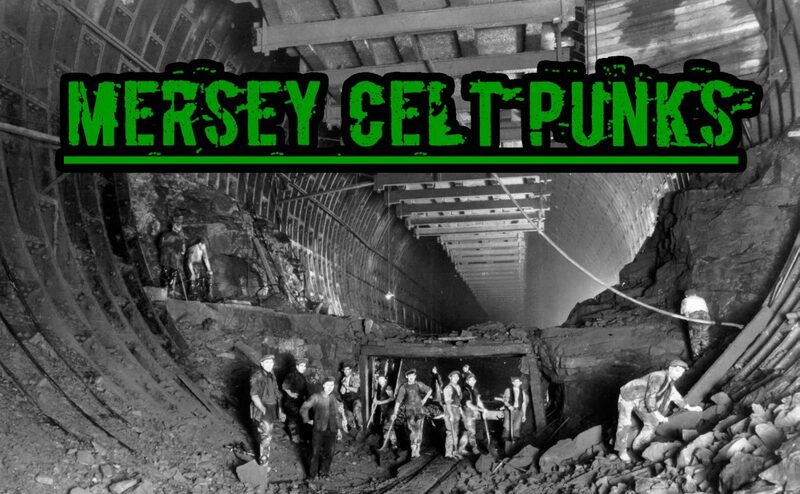 There’s probably no better time to do a little introduction, so if you’re interested: We’re the Mersey Celt Punks, a mad drunken idea set up by two mates from Birkenhead (just a ferry hop over the river from Liverpool) to get a Merseyside gig/drinking/football collective going for all manner of reprobates, inspired by the brilliant blog/social media phenomenon that is London Celtic Punks. Hopefully we can be the Northern comrades for the boys in the “Big Smoke”, and together further promote the brilliant Celtic Punk scene going on at the moment. It’s early days on here so far, so in the meantime while we get this sorted, give us a like on Facebook (https://www.facebook.com/MerseyCeltPunks/), a follow on Twitter (https://twitter.com/MerseyCeltPunks), and some love if you like what we’re doing! Here’s to the future! Author merseyceltpunksPosted on April 18, 2017 December 5, 2017 Leave a comment on Hello! Last year we did a countdown of our top albums of 2017 with Odd Boat by Flatfoot 56 taking the top spot. That was loads of fun so now it is time for the Best of 2018. This has been a friggin tough one to call. This list started in February this year and has been changed so many times I can’t count. The top spot I was convinced was set for a long time and then it changed and changed back and then back again. Every release would cause more debate because the standard of music has been unbelievably good. Well there is my favourites albums of the last year so many other came in and out of the top 10 over the year but a final decision had to be made. Once again in in pyramid form. Thanks to Jason Billing for the photo. Well it has been an awesome year again for folk punk we have had a huge amount of fun going on about it. Feel free to let us know what you think or come argue the toss with us on facebook and twitter. Hope you all have a great Christmas and New Year and/or whatever else you may be celebrating around now. More lists coming next year. So this year marks 10 years of the Rumjacks. Arguably the most excited band in celtic punk today and well possibly ever. There debut album “Gang of New Holland” (2008) was voted best celtic punk album ever by London Celtic Punks (People who actually know what they are talking about. Link at the bottom) and since then have released 2 more exception albums “Sober and Godless” (2015) and “Sleepin Rough” (2016). If you take a second to take that in. Better than any Dropkicks album; better than any Flogging Molly album; better than any POGUES album. It is a pretty bold statement that took me a while to come to terms with and then you press play again, ready to argue and realise that they were right all along. This year sees the bands fourth album “Saints Preserve Us” an album that has a lot to live up to based on the high standards set and true to form it smashes all expectations. Massively varied throughout but still fitting perfectly into that Rumjacks bracket. The album kicks off with the title track and first single “Saints Preserve Us” a bouncy track with an underlying cynicism that captures that signature Rumjacks approach to folk / ska punk. It eases you in and sets the tone for the rest of the album. In the first week of it being on youtube the video is averaging 10,000 views a day so im guessing im not the only one who likes it. Then the other side of the Rumjacks is the rowdy full steam ahead celtic punk joy that you may be more familiar and that is exactly where “Billy Mckinley” kicks in. The tin whistle comes out and you instantly want to be back in the Irish pub with your pint raised high and covering anyone everyone who enters your radius. Seems like its soon to be favourite in the live setting. “Bus Floor Bottles” the band gets down to some serious punk rock with faster paced vocal than any other Rumjacks song to date as far as I can tell. Definite grower, great track. Something a bit different next with “An Poc Ar Buile (The Mad Pluck Goat)” a reworking of a poem by Donal O’Mullain about a goat that kicked off on Cromwell’s Army. Sung almost completely in Gaelic and quite different to The Chieftains version of the same poem and there are bagpipes. BAGPIPES! Wasn’t expecting that, its bloody brilliant! “Last Orders” starts off slowly and kicks in with some great mandolin/bouzouki I struggle telling them apart, either way Adam has smashed it. Massive sing along track if you not singing “for all the tea in china” by the end clearly were not listening to the same track as the rest of us. “Cold London Rain” from first listen is one of the big stand out tracks from the album. Imagine Rancid mixed with Frank Turner. You want to listen to it now! Superb storytelling lyrics and a one of the best blending of folk and punk in a song that I have heard in a long time. I have read a few reviews of previous Rumjacks album which mention them sounding like a mix of The Clash and The Pogues. Cant argue with that but it has always been the two sounds blended into one. “Fare Evader” take those two sounds and switches between the 2 extremes. Starting off in an almost dub reggae style for the verses and then kicks in to full celtic stomping before going seamlessly back to the reggae. “The Foreman O’Rouke” featuring the legend that is Paul McKenzie of The Real Mckenzies splitting the vocal duties with Frankie. Originally performed by Matt McGinn this is a million miles from the slow meandering folk in its purest form but instead is brought right upto date. Fast paced loads of fun and you know the second the bagpipes (yes, more bagpipes curtesy of Mickey Rickshaw) kick in you know that standing still is no longer an option. If they ever tour together and plan to do this live come see me I’m pretty sure I will be down the front. The track is also planned to be on the next Real McKenzies album. Check out the original for the compare and contrast. The tin whistle at the start of “A Smugglers Song” sound like it is about to go into version of The Auld Triangle and then from out of nowhere turns into Jolly Executioner and the Rumjacks party starts again. Great song, just what you want and expect from The Rumjacks. Well then, “A Dozen Good Reasons To Weep” features my favourite lyric on the album “I’ve got a lots of teeth for a smart arse” and also the most unexpected point in the album in the form of an almost mariachi style breakdown. “If it kills me” could well be a Pogues song. Put “If I should fall from the Grace of God” (1988) on, play this in the middle and it would not be questioned. I don’t like to say it because the word is overused and loses meaning but it is incredible, flawless and beautiful friggin masterpiece. Saints Preserves us wraps up with my favourite track on the album “Cupcakes”. A full on, tongue in cheek meltdown directed at the punk scene and probably soon to knock “Blow and Unkind Words” of the top spot of my favourite Rumjacks Songs. So if there is a better way to say you NEED this album in your life I don’t currently know it. Buy it then go see them live a monster tour going all over the place kicks off in the next few weeks. UK tour starts early next year. Best Rumjacks album yet? Its a tough one. When I think of compilation albums, it usually conjures up a vision of being subjected to the type of shite that is regularly pumped out by the likes of Now! That’s What I Call Music (ha ha), with it’s latest pop fluff assaulting the airwaves (and my ears). The only respite I found over the years was in samplers from punk labels, or the occasional “traditional pub songs” folk CD. Recently though, the good folk at MacSlon’s Irish Pub Radio have cracked the magic formula to produce compilations that will sit nicely with anyone of a celt-punk persuasion. The online streaming station based in Germany should already be essential listening if you like your music whiskey-soaked and raucous, and “Raise Your Pints Vol. III” demonstrates the type of fare they offer up every day perfectly. 20 handpicked tracks of some of the best bands around at the moment, it’s one hell of a showcase of how far and wide the scene has gone. Understandably, there’s a lot of bands from MacSlon’s neck of the woods featured, with Kings & Boozers, Hellraisers & Beerdrinkers, Muirsheen Durkin & Friends, Airs & Graces, Paddy’s Funeral and The Ceili Family demonstrating the Teutonic talent for Guinness fuelled sing-and-stomp-a-longs. Hailing from the U S of A, Orange County natives Brick Top Blaggers, Baltimore’s The Lucky Pistols, and The Kilmaine Saints from central Pennsylvania show that the States continue to produce top quality celtic punk from all over. MacSlon’s has flung the net far and wide to find the best the rest of Europe has to offer, and doesn’t disappoint with Italy’s Uncle Bard & The Dirty Bastards, Serbian heavyweights Irish Stew of Sindidun and Orthodox Celts, ShamRocks from Ukraine, Swiss celt-punkers Tortilla Flat, Spain’s The Fatty Farmers, and France represented by Sons Of O’Flaherty and Sophy Ann Pudwell (whose version of “Galway Girl” far outdoes any certain red-headed pop warblers). Getting closer to home, there’s the all-conquering Ferocious Dog and the brilliant Black Water County from the UK. Finally, there’s Ireland’s own The Logues, with one of the highlights of the entire runtime with “Yvonne John”. Overall, it’s a cracking collection and shows that MacSlon’s Irish Pub Radio is one of the best purveyors of celtic punk around. Grab a beer, stick this on and have yourself a party without risk of some autotuned nonsense unexpectedly polluting the speakers. Its takes a lot to knock me off guard but getting a message of someone you consider a genuine musical hero will certainly do that. Earlier this week we received a message from Canadian Celtic Punk Legend, The Mahones frontman and founder Finny McConnell saying would we like to hear the new album and of course we said yes! Online star stuck isn’t something I have experienced before now but its currently hitting me pretty hard. The Mahones have been going for since 1990 and this year release their 13th Studio album “Love + Death + Redemption.” Originally planned to be the first of 4 releases this year but they may not all be out due to the pushing back of the release from January to July. The album will be released through their own label Whiskey Devil Records this month and was produced by Finny himself. “Love + Death + Redemption” was written for and dedicated to Finny’s late Mother Annie McConnell-Strong. The album kicks off with “I’m alive (Save me)” a 5 and a bit minute massively anthemic opener that stomps through and really sets the tone of trying to find a way to deal with the loss of a loved one. It also features the massively powerful voice of Priya Panda from Diemonds that really stand out. “Heroes die” and “It’s gonna be alright” feel like the two ways of approaching crisis and reassuring yourself. The first seeming like a more chaotic panic and then into calming yourself down to readjust. Basically the punk and the folk sides of The Mahones on show in purer forms. Incredible songs that could bring a tear to the toughest amongst you. “Never let you Down” features the amazing voice of Sarah Harmer and has some genuinely wonderful tin whistle through out the song that really carries it. Probably my favourite track of the album. Track 5 “Mother, My Angel” again has a massively almost stadium rock quality with huge spiralling solos from most of the band and the vocals seem to be sung away from the microphones and low down in the mix of the song. Not quite the usual Mahones that you might have been expecting. “When Ye Go Away” is a cover of The Waterboys track by the same name. Possibly a touch faster than the original but generally stay close to the original while still sounding like it could have always been a Mahones song. “Win some, Lose some” is the full force punk track that you may well have come to expect from The Mahones. Finny takes a step back from vocals and guitarist Sean Ryan takes the lead. Showing they have not stopped being a punk band for this album its just taking a back seat. Well when I saw “Heroes” on the track list I wasn’t expecting a Bowie cover. The song gives me goosebumps every time and this version is no exception. It fits perfectly into the album and with a song this big hold a massive task of making it your own. Wonderful! “Angels” is the last of the original Mahones tracks on the album. Similar sounding to “Mother, My Angel” but again different to what you may be expecting from the band. The album as a whole does shy away from the tradition Mahones sound, but it was written from a different place possibly still in Canada but emotionally distant from having a great night on the lash and getting some great song from it. The album concludes with a haunting rendition of “The Fields of Athenry” featuring Damhnait Doyle splitting responsibilities on vocals. I’ve heard, well God only knows how many versions of this song but hand on heart this may well be the best of them. “Love + Death + Redemption” is an instant classic. Overflowing with passion and the most fitting of tribute to the driving force of The Mahones of the past and the inspiration of The Mahones of the future. Absolutely brilliant buy it as soon as you can. Available everywhere next week. Australia is absolutely dominating the folk punk world. No complaints other than it really could not be any further away from me. Next to add to your list of awesome bands that manage to make great music despite being upside down all the time is Medusa’s Wake. Formed in 2015 and are now with the release of their debut album “Rascals and Rogues,” Medusa Wake have got us very excited. 11 tracks of incredible well blended folk punk straight out of Sydney via Tipperary slotting into your music library somewhere between The Tossers, The BibleCode Sundays and Sir Reg. The album kicks off at full pelt with “Seldom Sober” and within seconds you will be invested in band via celtic punks newest drinking anthem. Showcasing the band perfectly to welcome the world to Medusa’s Wake. “Hobart Sailor” and “Convicts Tale” are great tales of the sea from different points of view one for work the other from being put on the prison ship and being deported. Common place stories amongst the Aussie-Irish that makes for great music. “Tilly Devine” and “Barney Dalton” slow the pace and adds a bit of a bit of goes in an indie rock / folk direction not too dissimilar to that of BibleCode Sundays. One of my favorite from the album. “Banshees Wail” stands apart from the rest of the album as a 4 and a half minute epic with screaming guitar solos and marching style drums almost feels like its been taken straight from a Red Hot Chilli Peppers album. Then the Celtic party starts up again with “Lawlor’s Lament” which features my favorite lyric on the album, “I’ve given my best, but I’ve wasted your time,” and “Irish Sky” which features some awesome mandolin and accordion and then bounces along with all the fun and sadness you would expect from Irish influences music. Branxton is a full steam jig that in a live situation is going to get you moving, starting with your toes tapping and ending up with you dancing with the band. “No Nay Never” is easily my favorite track on the album with incredible accordion, sing along choruses and constantly stomping drums that drop down in the verses but keep you aware of the pace that the chorus is going to throw at you. Rascals and Rogues wraps up with “Gates of Hell” which drops the pace completely for a perfect end of the night / end of life / end of album sign off. Medusa’s Wake are guaranteed to get every leg dancing, every hand clapping, hold on to your pints it going to take some serious will power not to end up covered in it. Rascals and Rogues is available now. LIVE REVIEW: CURSUS CIDER AND MUSIC FESTIVAL 2018. Few weeks back I took a quick 6 hour drive to the deepest darkest parts of the west country to start the festival season with the good people from Fuelled by Cider for what i believe is the forth Cursus Cider and Music Festival. One stage, one bar, one food stand seems like a different world to any festivals I’ve been to in the past but after seeing the line up for the weekend you would struggle to keep me away. We arrived on site at mid day on the Friday and where apparently the first people besides the crew to get to the camping area. Parked up and walked about 100 steps which seemed far enough and set up the tent for the weekend. After a celebratory beer for getting the tent up with causing any damage to each other we wondered down to have a look at the stage which was in a decent size marquee but still a bit of a shock as the smallest festival I had been to before the had about 20,000 as a capacity. So incredible bands up close and personal. You wont hear me complaining. The festival takes place on Canada Farm in Dorset which is owned by owned by Dorset Star Cider who produced a larger amount of the ciders available at the bar. So to the bar we went to try the vast range of scrumpys available, not being from the west country where do you start? Dry? Medium? Sweet? Which one is like Bulmer’s? NONE OF THEM! After settling on blackcurrent cider I think called purple haze the cider festival spirit had started. After an afternoon in the sun with a good selection of ciders whilest listen to DJ Dapper Dan from skankin delights podcast providing a great mix of reggae, ska and balkan it was time for the bands. First up on probably the hardest set of the weekend as a lot of people where still arriving was “The Outlaw Orchestra” playing a mix of whiskey soaked southern rock and bluegrass. Not the biggest of crowds but for those who where there had a great start to the weekend and where well and truly warmed up for the weekend. Next up was “The Intercepteurs” for those not ready to get skankin you are in the wrong place! Two tone is alive and well and located in the middle of a field on the way to Cornwall. If loads of brass and fast upstrokes on the guitar is your thing you wont go far wrong with these guys. Fans of The Beat or The Specials be smiling from ear to ear. Third band in and finally time for some punk rock. “IDestoy” are an all female band that blew away the last of the cobwebs that had built since last festival season. Strong riff based punk that will win over even those who claim they don’t like punk music. Can not image a person in there will not be waiting for their debut album to come out. Suitably lubricated it was time for “The Rumjacks” and the stage suddenly filled up. Smashing out the finest celtic punk money can buy, easily competing with the likes of Dropkick Murphys and Flogging Molly. The crowd went crazy, myself including singing every word, dancing to every beat and loving every second of it. If you haven’t seen them before you are missing out. 10 year anniversary tour went on sale this week. Friday night headliner was “Gaz Brookfield and the Company of Thieves” a set I was very excited for having seen Gaz and Ben Wein play before the idea of a full band show was something i was eager not to miss. No disappointment here! With an set just over an hour of crowd pleasing west country indie folk that seem to get the crowd going that bit more in full band form. Frank Turner watch out. Once the music finished the djs started up again and the communal camp fire lit and it was time to talk to who ever would listen unfortunately for the good people at London Celtic Punks and Matildas Scoundrels sat within my line of sight so where my company for the rest of the night and the people I choose to blame for hangover that followed. My day started properly with “Sinful Maggie” a band I have been getting increasingly excited about watching since they sent me their debut album earlier this year. Any feeling sorry for myself was blasted well away as they smashed through the majority of the album with the tracks sounding even better live. If you like the idea of rancid having an accordian you will love Sinful Maggie. A massive amount of Sinful Maggie tshirts where about for a band that are still lower on the bill. Great show cant wait to see them again. “Smiley and the Underclass” are a band I was unfimiliar with. Not knowing what to expect I was pleasantly surprised with a mix of dub / ska and even bit of funk thrown in. Providing the perfect sunny afternoon festival music. The only way I can think to describe them is Rage Against the Machine go reggae due to a slightly more aggressive approach to a normally very chilled out genre. Next up was another favourite of mine “Matildas Scoundrels” whos debut album “As the tide turns” featured in our best folk punk albums of 2017. Forcing their own brand of aggro-folk up the Dorset countryside. The set was mostly from the album as well as a “sinking in their sins” which got pretty much everyone in the tent sitting in 2 imaginary rowing boats from the stage to the back of the tent while they yelled “row you bastards” it was a beautiful sight. Also if the 2 songs I didnt recognise are ready for the next album then everyone needs to start getting excited. Again from our top albums of 2017 next up was “Black Water County.” Let me start by saying wow! The stage filled up and the crowd was absolutely buzzing even their sound check was met with a massive applause from the response they got I dont think there would have been any objections to them headlining the festival. The band where dancing as frantically and the crowd and for their final song ( cover of loch lowmond ) most of the band were in the crowd playing away. Not a sad face in the field. Band of the weekend for me. New Town Kings had a hard act to follow but where the perfect change of pace to break up the day. As someone who is always up for a bit of ska was great to see New Town Kings for the first time since the release of their latest album “Reach Out” which filled the majority of the set and despite the songs being new to the audience still got them dancing. Before watching “The Eskies” I was convinced that i had seen them before but couldnt remember when. Two minutes in and I was sure that if that was the case I would have remember a band that commands an audiences attention this well. Combining gypsy folk with deep south gospel melodies these guy where easily the most unique sounding band of a very eclectic weekend. Well worth checking out and they seem to always be on tour so dont miss your next opportunity. Skinny Lister our a long standing favourite for us at Mersey Celt Punks combining sea shanty harmonies with straight up punk rock, dancing is not optional from the second they take the stage and if your not quite drunk enough they always pass the rum around, whats not to love. They dedicated “40 pound wedding” to the guy who was hassling them to play it before they started. ( Dave, you have done well ) Massive sing alongs that leave the crowd singing every word back until your voice is gone. They absolutely smashed it! Sunday at Fuelled by Cider events is “Ladies Day,” something that we nothing about before we got there. Naively I asked “So what does that entail? Is it like the races when everyone gets overly dressed up?” I was half right. What i didnt realise its a day of a very large percentage of the men at the festival wearing the best dresses they can find / own. It was bloody brilliant to see the effort that some of these guys had put in and some of them looking far too comfortable in clothes they claim to only wear at festivals. Sundays music started with “The Two Man Travelling Medicine Show” who’s new ep “A snakes a snake” we reviewed last month. With that still fresh in my head I wondered down to the stage to see how the music works out live. The 9 piece made the stage look very crammed but eased away the hangover with a healthy slice of Americana that left a huge smile across my face. They really are the perfect festival band and I hope our paths cross again soon. I unfortunately missed “Stealing Whiskey” who where on next due to these pesky west country being too friendly my inability not to try and talk to everyone at a festival. Not sure how I managed it in such a small site but I guess the local cider has some magical powers I was not prepared for. Next on was “The Surfin Turnips” one of the most wonderfully west country bands I have ever witnessed. Some where on the musical spectum between The Wurzels and The Ramones they are a clear local favourite and a cider festival must have. Loads of fun and mild theatrics provided by their percussionist made The Surfin Turnips set was one of the more memorable of the weekend. After a quick break it was time for “Cuba Libre” another band I was unfirmiliar with before the weekend. With incredible dual vocals mixing rap and soul over a ska soundtrack Cuba Libre are infectious and leave a lasting impression that will be stuck in your head for ages in the best of ways. The Hawkmen I had never heard before but a man in a lovely dress highly Recommended them to me and also said that members of Skinny Lister where in the band. That was it, I wanst going to miss them. Female fronted rockabilly staight out of a seedy berlesque club. Brilliant. The Surfin Birds bring a bit of garage rock to the proceeding and a decent change of pace and atmosphere with an old school rock and roll swagger about them and some tight heavy riff orientated rock to back it up. The Skimmity Hitches is you not familiar with them mostly take songs and change the lyrics so that they are about cider or badgers. My favourite being “Ten pints of Thatchers” to the music of Abracadabra by Steve Miller Band. Highly entertaining and great hosts all weekend. To close off the festival was the amazing Popes of Chillitown bring a ska punk party taking all the last reserves of energy everyone had left. They remind me of a more energetic JB Conspiracy. They played Opoom so I was made up and a lot off the new album “Work hard, play hard, see you in the Graveyard” which is incredible and highly recommended. Great way to end the festival. Overall Cursus is a wonderful little festival, friendly and welcoming atmosphere, clean and tidy with a great selection of bands and an incredible selection of local ciders to keep you dancing. I hope to be back next year. Thanks to Dave for agreeing to come with me and new friends Thom, Lynne, Katie, Mark, Amy, Tony and Tim for making it an incredible weekend. Author merseyceltpunksPosted on June 21, 2018 June 21, 2018 Leave a comment on LIVE REVIEW: CURSUS CIDER AND MUSIC FESTIVAL 2018. Id like to start with an apology to The Two Man Travelling Medicine Show because I have taken bloody ages to get around to doing this. Life rarely feels hectic, but these last few weeks have been non-stop. First up to avoid the confusion I have had there is more than 2 in the band, they are not all men and are quite different from the 20’s style medicine band that I was expecting from the name. In fact they seem to borrow from a whole host of genres from folk to punk to bluegrass to Americana to indie to just about anything. What I am trying to say is there is a lot of variety to enjoy even within the space of a short e.p. We kick off with the title track of the e.p. “A Snake’s A Snake” which is a brilliant country-esk song with a bit of punk venom in the lyrics (bad pun, don’t care) saying basically a leopard can’t changes its spots. With a catchy chorus that will have you singing along by the time you get to the second one. Surely will become a fan favourite in very short amount of time. There is a great bit near the end of the track where the reverb on the vocals goes right up and for about 20 seconds turns into an Alabama 3 for a bit of that sweet country acid house music all night long. “Flood” is an uplifting mix of brit-pop and folk rock imagine if you will Ocean Colour Scene mixed with a bit of Billy Bragg and you are heading in the right direction. A fairly chilled out song that is perfect for Sunday afternoon but still makes you want to get up and dance. I think it’s the arpeggiated chords going twice the speed of the rest of the band that is often used in house music make me think this could turn in to a country rave live with the right crowd. “Sick and Tired” is the final track and another change of pace, change in vocalist and change in feel. This folk ballad is a great close to the e.p. which shows off the diversity of the band and ability to change the mood at the drop of a hat. Even with the sadness of the lyrics its sometimes good to hear that moving on in life can be a struggle for everyone. Just wonderful. This multi talented folk / country / indie band have so much to offer and are surely on there way to become firm festival favourites up and down the country. With this release they are well on their may to becoming favourite in the UK folk community and beyond. https://londoncelticpunks.wordpress.com/ – The original and best!